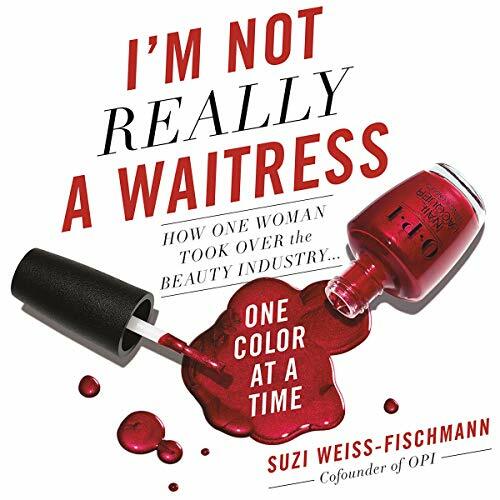 Inspiring women to pursue their own colorful dreams, I'm Not Really a Waitress tells the story of how Suzi Weiss-Fischmann transformed a small dental supply company into a number one beauty brand around the world. Today, OPI is known as a global beauty brand, famous for its trendsetting colors, unforgettable shade names, and celebrity collaborations with the biggest stars from film, television, music, and sports. But behind all the glamour is the little-known tale of OPI's unlikely origins - an intimate and inspiring story of a timid schoolgirl who arrives in this country with little money and no English and becomes the business leader and industry game-changer known worldwide as "Suzi, the First Lady of Nails". In I'm Not Really a Waitress - titled after OPI's top-selling nail color - Suzi reveals the events that led her family to flee Communist Hungary and eventually come to New York City in pursuit of the American dream. She shares how those early experiences gave rise to OPI's revolutionary vision of freedom and empowerment and how Suzi transformed an industry by celebrating the power of color - and of women themselves. This autobiography started out strong, the story of OPIs beginnings, and Suzi's life is amazing. she then writes, for several chapters, about the busy life of a business woman, and talks about growth, social media and marketing, and giving back. I am a small business owner and appreciated many of this things she said, but they weren't new to me, so this portion of this book wasn't completely entertaining. I found myself cranking up the listening speed to 1.5x. BUT, if I read this early in business I would be thrilled with her ideas and she has so much to teach. Really, for a company that does so much great marketing, I think this book is marketed wrong. it is less about Suzi's beginnings and her personal story, and more about what makes OPI tick. I don't know that my mom would be interested in this book, but I would recommend it to young ladies, interested in being entrepreneurs. It would have been great to have more personal stories, funny encounters with the amazing people she's worked with, and specific scenarios. Or stories from nail techs maybe or others related to the business. The few included are entertaining! but there could have been a lot more. Wonderful to have this female jewish role model telling her story! I am so happy to have learned Suzi’s story and the story of OPI. Always a fan of the nail lacquer, I had no idea how the organization came to be. The story moved along nicely and the narrator was perfect.